Today’s post comes from Aya who blogs at AyaKhalil.com. She’s a freelance journalist and mom of two. This recipe for macaroni bechamel may not sound Egyptian but I assure you it is! 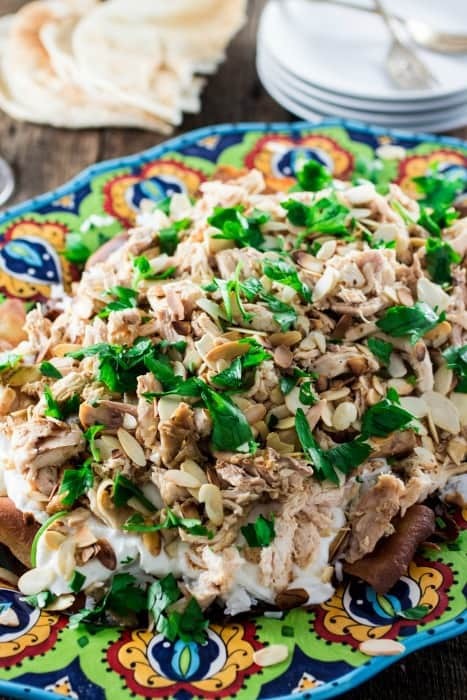 One of the first Egyptian meals I tasted included this dish and every Arab potluck that has Egyptians present will have a few dishes of macaroni bechamel. I mean what’s not to love? Enjoy! Salam! This dish is called macaroni béchamel. 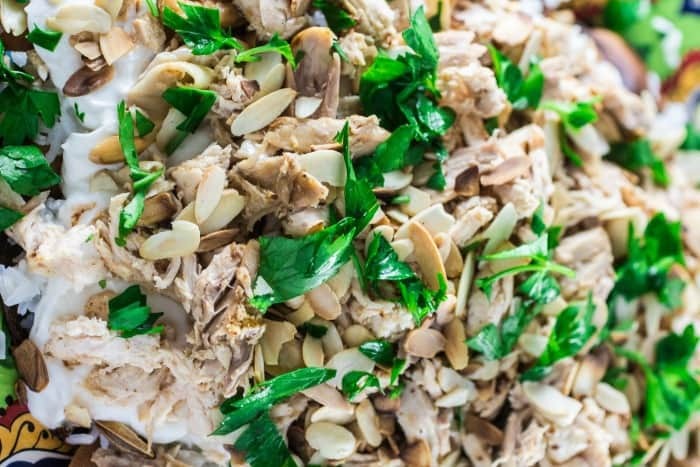 My mom taught me this Egyptian dish and it’s one of our family’s favorite dishes. It’s nice because it includes protein, starch and dairy. 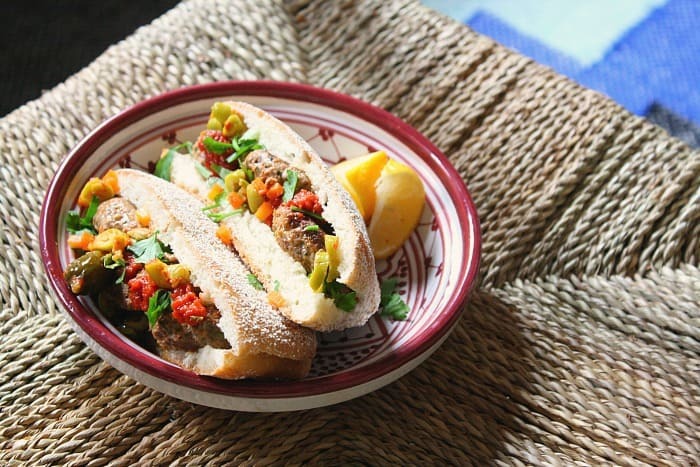 You can also make a vegetarian version and not add the ground beef or substitute it with ground turkey. It’s a little time consuming because you have to keep an eye on the béchamel sauce as you’re mixing it so it doesn’t burn. But it’s a filling, delicious dish – make a salad with it and you’re good to go. Saute the onion in a little oil over med high heat until soft. Add garlic and saute another two minutes. Cook the ground beef on med-high in a pot until it’s no longer red. Add the onion mixture and add the parsley. Set aside. In a large saucepan over med-high heat melt the butter. Once melted, whisk in the flour until smooth. Keep whisking for 2 minute. Now whisk in the milk very slowly until all the milk has been added. Keep whisking making sure there are no lumps in it. You can add more or less milk depending on how thick you want it. Add the salt and black pepper to your taste. Whisk pretty continuously until the milk is almost boiling. Add nutmeg. The sauce should now be fairly thick. Quickly whisk in the beaten eggs. Remove from heat. Add the Italian Breadcrumbs on top the béchamel. Add slices of butter on the top. 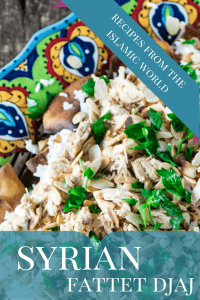 This post wraps up my food from around the Islamic World series to celebrate Ramadan (albeit a little late!) 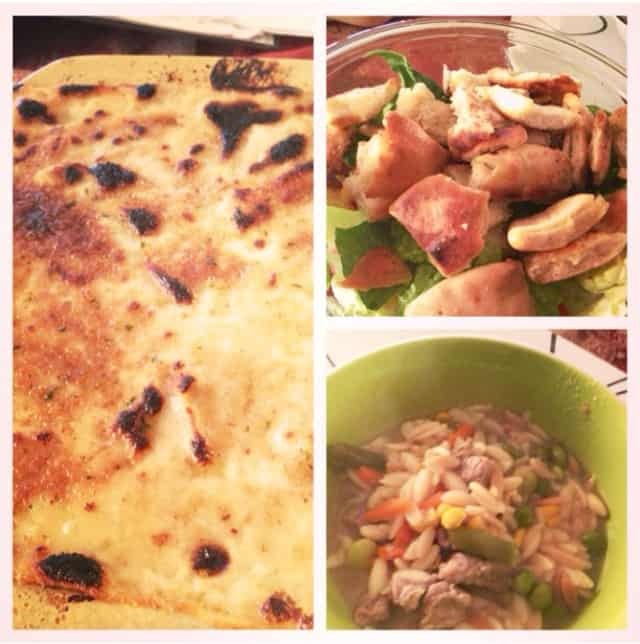 I hope you’ve enjoyed traveling through the world and have gotten the chance to make some of these amazing dishes! A big thank you to everyone that contributed! 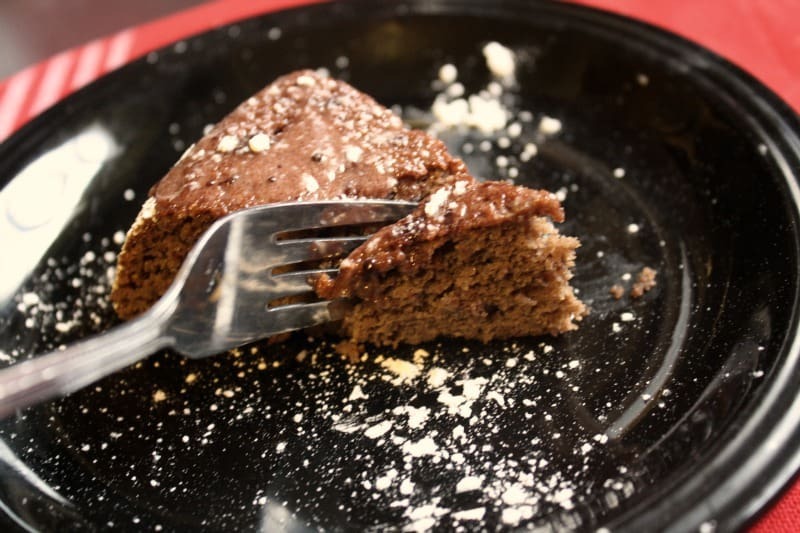 Today’s guest post is from Sarah of Curious Cuisiniere. 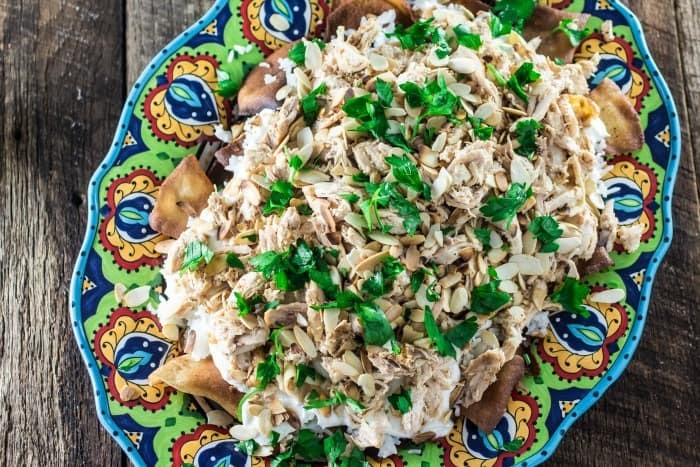 She put together this Tunisian tajine that is a far departure from the Moroccan version! You can find more great recipes on her website! We loved Amanda’s idea to get other bloggers around the world together to create dishes from the Arab world for Ramadan. 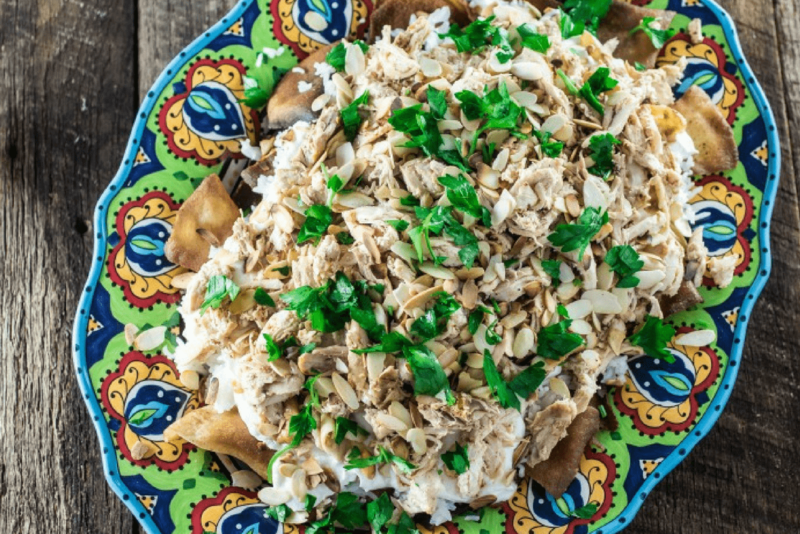 And, we are incredibly excited to be sharing a recipe from Tunisia with you today. I’ll be the first to admit that we didn’t know much about many of the countries on the list that Amanda gave us. But, each of the countries we researched from the list had one thing in common: an incredibly unique and proud food culture. 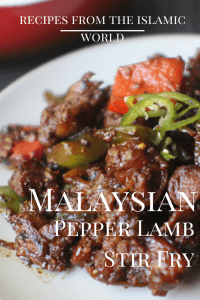 It made us want to dive even more into the cuisines of this area because it is a wealth of flavors and dishes that, in the States, we haven’t been exposed to. Take the recipe we’re sharing with you today. 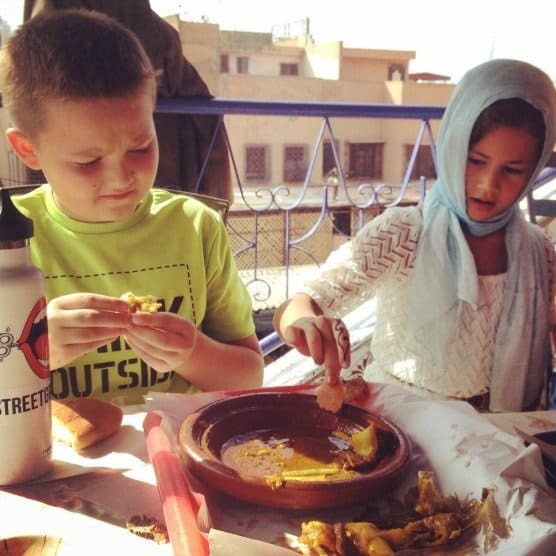 When we hear the word tajine, we think about the Moroccan stew that is cooked in a vessel by the same name. However, in Tunisia, tajine refers to something completely different. In fact, it is more of a spiced quiche or fritatta that is served cold as a finger food or appetizer. 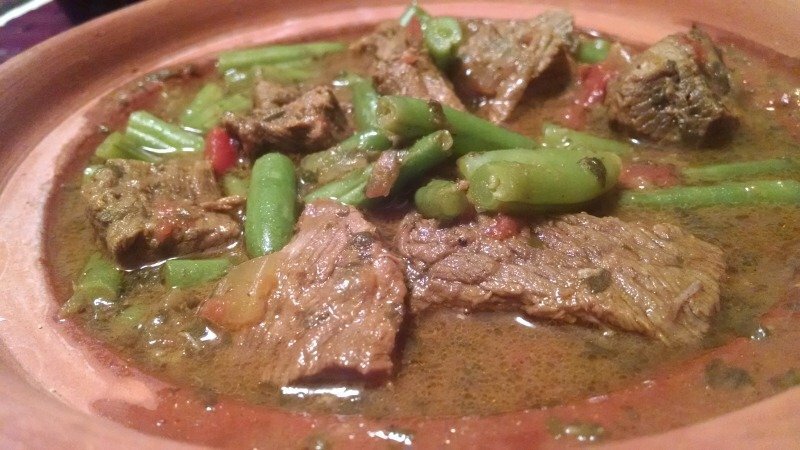 The Tunisian tajine starts with a mixture of meat, onions and spices that is sautéed. 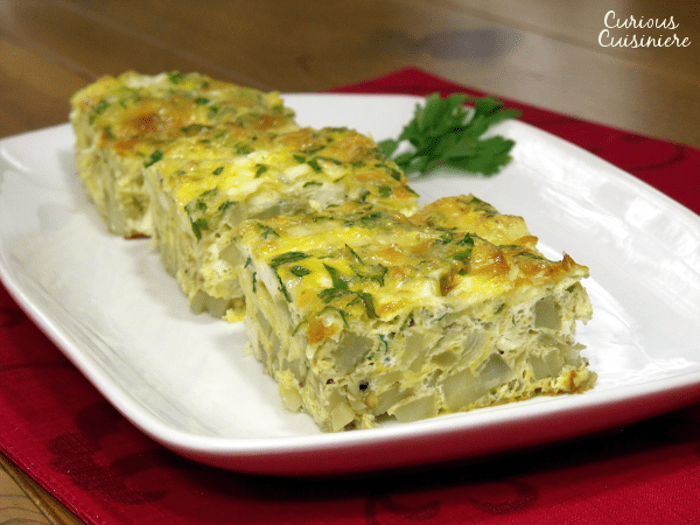 A starch is added (potato or bread crumbs) and then, off the heat, it is combined with fresh parsley and a mixture of beaten eggs and cheese. Then, it is baked until firm. The spices in the meat fill the house with a wonderful aroma while it bakes. And, while it is traditionally served cold, we couldn’t wait and dove right into the dish while. We loved the combination of chicken and potatoes with the light creaminess of the eggs and cheese. With such unique spices, this would make a wonderful brunch dish here in the States, when you’re looking for something a bit different than the standard egg and bacon breakfast bake. In a large skillet, heat oil. Add diced onions and sauté over medium high heat for 2-3 minutes, until they begin to soften. Add diced chicken and spices. Mix to combine. Add the water to the skillet and simmer until the liquid has evaporated, 2-3 min. Add the potatoes and sauté for an additional 2-3 minutes, until slightly tender. Remove the mixture from the heat and pour it into a greased 8×8 baking dish. Mix the beaten eggs with 2 oz (1/2 c) of grated cheese and the chopped parsley. Pour the eggs over the chicken mixture in the baking dish. Top with the remaining 1 oz of grated cheese. Bake the tajine for 35 minutes, or until the middle is set and the top is golden. 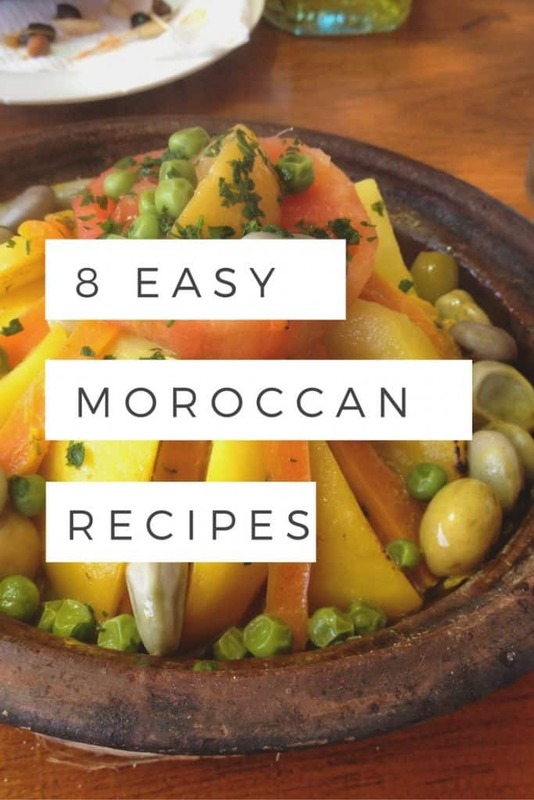 Cut the tajine into 8 rectangles and serve warm or cold. 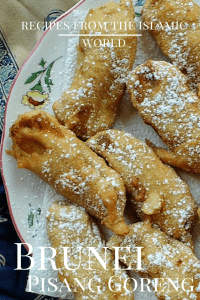 Today’s recipe comes from Shannon of Homemade Families. She is a wife, mom, and midwife living in California with her family. 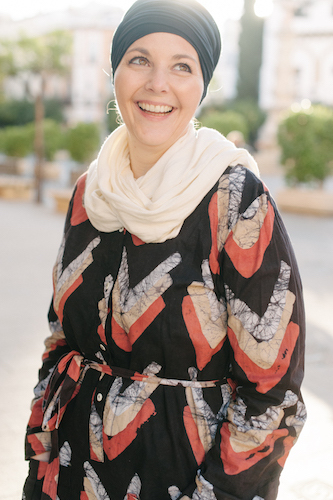 She is one of the sweetest people I have met and should some mystical magic happen and I find myself pregnant, I’d fly her to Morocco to be my midwife! 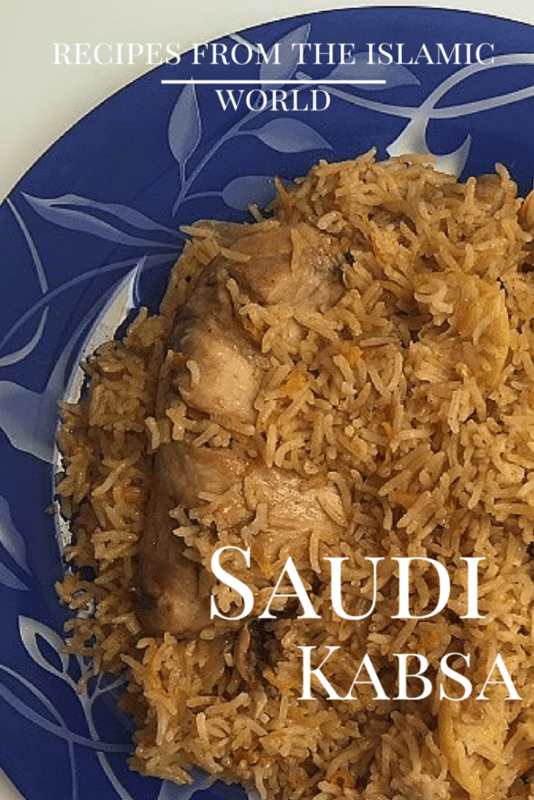 I hope you enjoy this story and recipe from her kitchen. Thirteen years ago, I was a young, hungry new college grad. I could boil pasta, make grilled cheese, and throw together a salad. My husband’s parents came to California from Karachi in the mid seventies. When my husband found himself a young, hungry new college grad, he asked his mom how to make the food he grew up with. Needless to say, his culinary traditions were more preserved than mine. And the aroma coming from his apartment was delicious. Tired of my vegetarian fare, I finagled an invitation for dinner. I hadn’t touched a lentil before. I probably hadn’t eaten turmeric before either. As the daal (Urdu for lentils) boiled and boiled, the smell seemed familiar and comforting. After a long wait, the simple meal of lentils and rice was ready. It was the most delicious thing I’d ever tasted. I’m embarrassed to recall, that I may have said it tasted like macaroni and cheese. I meant it as a compliment. The only thing I couldn’t fathom was cooking something that took more than twenty minutes to prepare. Again, I went for lentils, but this time I wanted to see how they were made. I watched the hard, yellow, lentils simmer and simmer, never losing their shape, until finally after hours, they melded into a golden, fragrant mass. Nothing was measured with a proper teaspoon, rather a plastic spoon was used to toss the colorful spices into the pot. While we waited for the daal to cook, we had plenty of opportunity to talk. The hours that passed allowed us to fill our hunger with conversation and the expanse that life as a new grad presents. Eventually, we married. Three children later, we still enjoy a simple meal of lentils and rice. Only now, I know that lentils come in myriad shapes and sizes. The one we cook now, cooks about as fast as macaroni and cheese. I look forward to the day, that as the daal cooks, we can resume our good conversations. For now, I present to you a nourishing, simple soaked lentil recipe. Soaking the lentils the night before optimizes the nutrition you receive from the lentils. Ask anyone who has lentils as a staple in their traditional foods, and they will tell you that their mother or grandmother used to soak lentils. Phytic acid, contained in lentils is broken down through soaking, which allows the B vitamins and other minerals in the lentil to be absorbed in your intestine. It also reduces the cooking time, which may or may not be desired ;). Don’t skip out on the baghar, the spice perfumed butter. 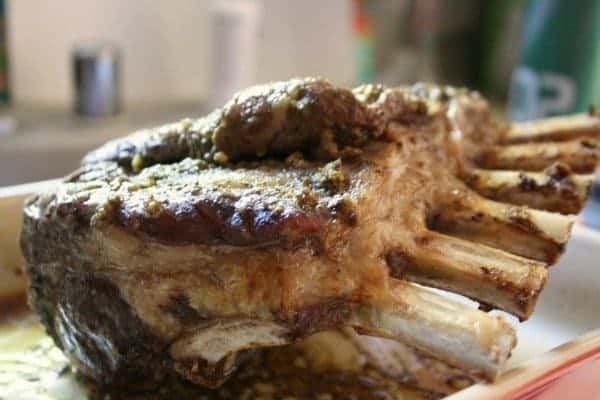 It is an ancient technique used since Vedic times to infuse dishes with flavor. Heating ghee to a very hot point and then quickly frying fragrant spices in the ghee, imbues the ghee with scent and flavor. It is all then folded back into the daal. We like to cook our lentil in chicken stock. Not only does this add flavor, but it also adds protein and other vitamins and minerals. 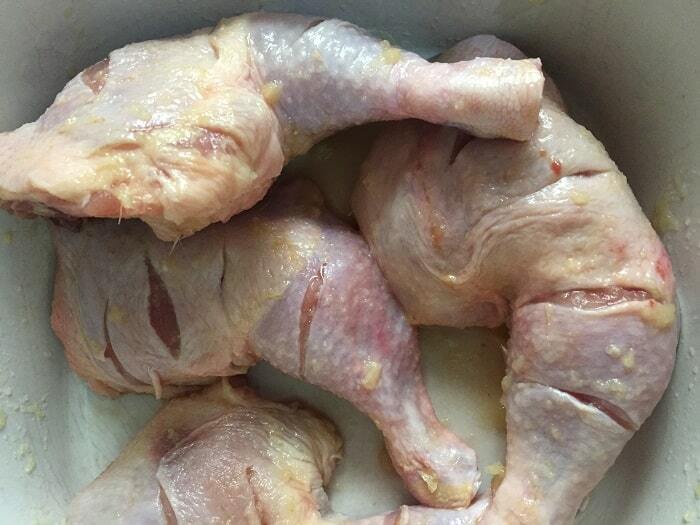 Chicken stock contains easily absorbable calcium, magnesium, and other minerals. It also contains gelatin, an amino acid that helps with immune function and healthy skin, hair and nails. Here’s to your good health, and to food bringing about love and happiness! Soak one cup of red daal with enough filtered water to cover. Soak for six to eight hours. 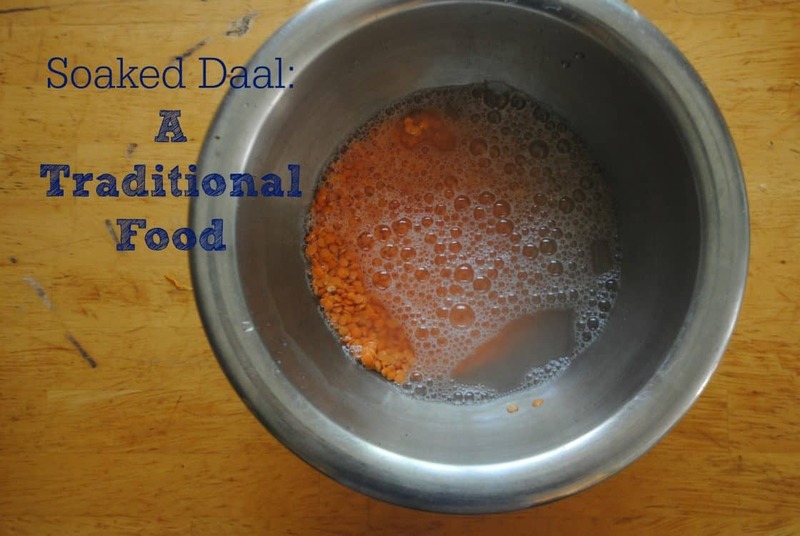 When ready to cook, strain the daal and add to pot. Add garlic, spices and chicken stock. Skim the froth from the top and leave to simmer until lentils soften, about 25 minutes. Heat ghee over medium high heat. 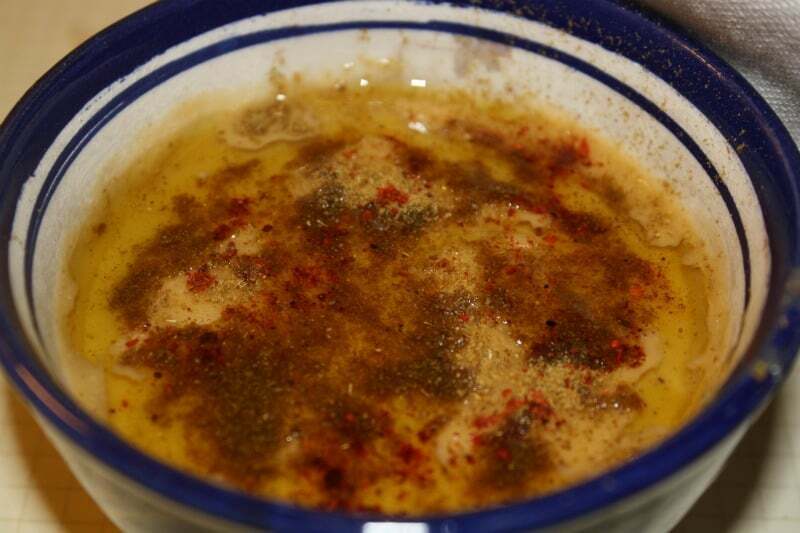 Heat until fragrant, being careful not to burn spices. Add to daal, stirring to combine.